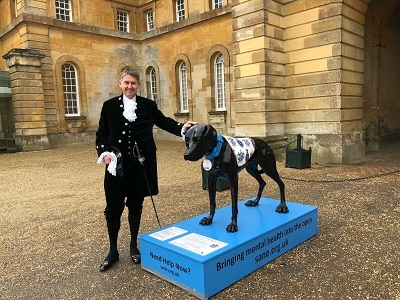 SANE, a mental health charity, will be bringing a four-foot-tall statue of a black dog called Sirius to Blenheim Palace, the birthplace of Sir Winston Churchill, from Monday, 8th April – Tuesday, 22nd April as part of their Black Dog Campaign. The campaign aims to reduce the stigma surrounding mental illness and encourages people to seek help early, rather than suffering in silence. Sirius will be on display in the Oxfordshire UNESCO World Heritage Site’s Pleasure Gardens. The Black Dog has been used from classical mythology through medieval folklore to modern times as a universal metaphor for depression: Sir Winston Churchill is famously reported to have used it to describe his darker moods. Imposing sculptures of Black Dogs wearing coats designed by artists, celebrities or others and standing on a plinth featuring SANEline and other sources of help have been placed in business foyers, public parks and shopping centres in towns and cities throughout the UK. The campaign is also touring schools and universities, encouraging people to find a more accessible language in which to express their inner feelings of anxiety, loneliness or despair. The tour of Oxfordshire has been spearheaded by High Sheriff of Oxfordshire 2018/19, Richard Venables who comments ‘In my last week of being the High Sheriff I am delighted to be able to bring Sirius to Blenheim to highlight the issue of mental health which is pervasive throughout society and bring awareness to staff and visitors to Blenheim’. Megan Carter, HR Manager Blenheim, said: “Staff wellbeing is incredibly important and something we are absolutely committed to here at Blenheim. 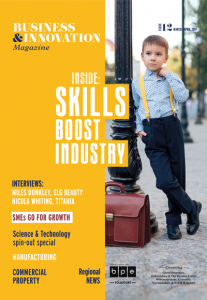 “We have set up a number of initiatives aimed at making it far easier for people to discuss any issues or worries they may have with other team members and we’ve introduced a range of activities designed to improve overall wellbeing and also to enable team leaders to identify signs of stress and depression,” she added.